Joan Wincentsen brings tremendous determination to her role as Executive Director of AHRF. She recognizes the meaningful contributions the Foundation has made over the last 60-plus years and is driven to help AHRF build on that heritage. 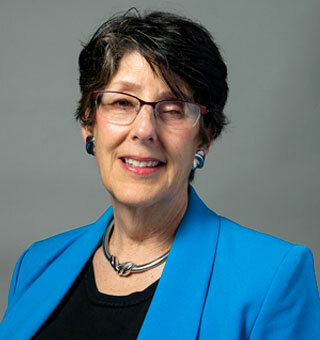 Wincentsen has more than a decade’s worth of experience in nonprofit management and administration through her work with the association management firm, Apex Management & Special Events, Inc., and as Executive Director of the patient advocacy organization, Conquer Myasthenia Gravis. Earlier in her career, Wincentsen worked for 20 years in communication project management—including time as a communications consultant with the compensation and benefits consulting firm, Hewitt Associates—and as a freelance writer. Her well-honed skills in fundraising, budget management, program development, and marketing all are great contributors to the strength and success of AHRF and its mission. A lifelong Illinoisan, Joan earned her MA from Northwestern University in English and her BA in Mathematics and English Literature from the University of St. Francis.